Looking for something fun and free to do over winter break? 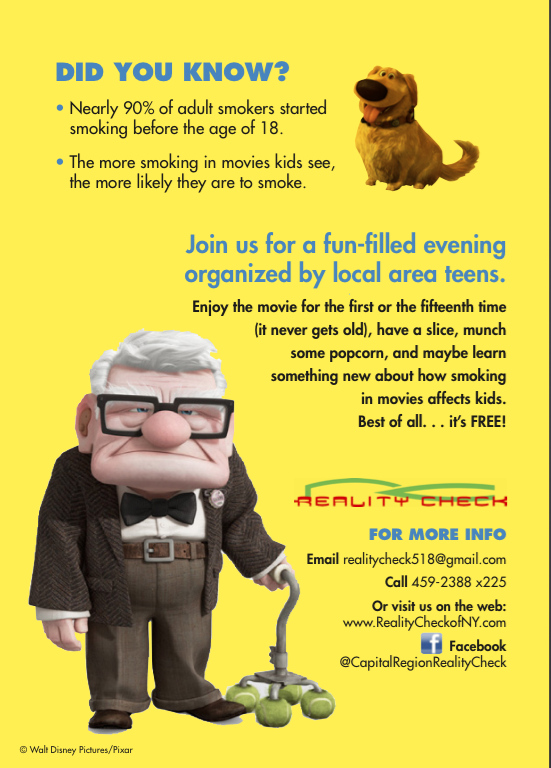 Capital Region Reality Check is hosting a free movie at Afrims sports! 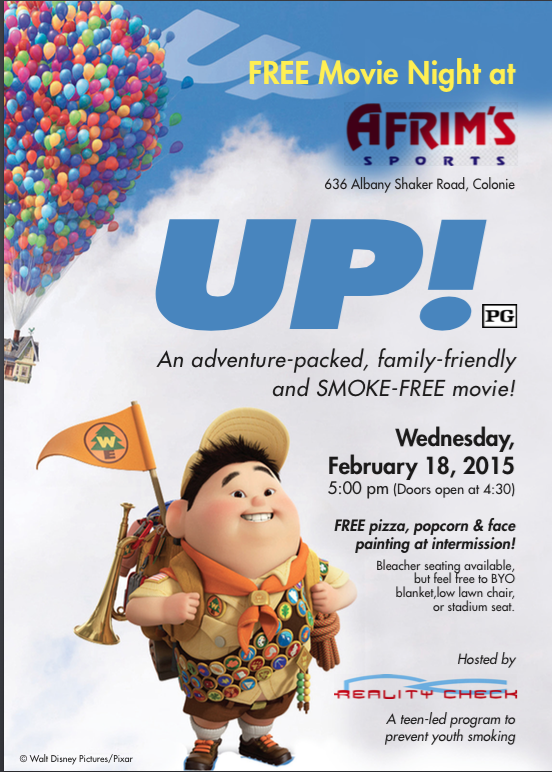 Join kids from throughout the Capital Region for a free screening of the Disney/Pixar movie “Up” at Afrims in Colonie. Movie starts at 5 PM and includes free pizza and bottled water. This entry was posted in Capital Region Deals, Freebies and tagged freebie. Bookmark the permalink.